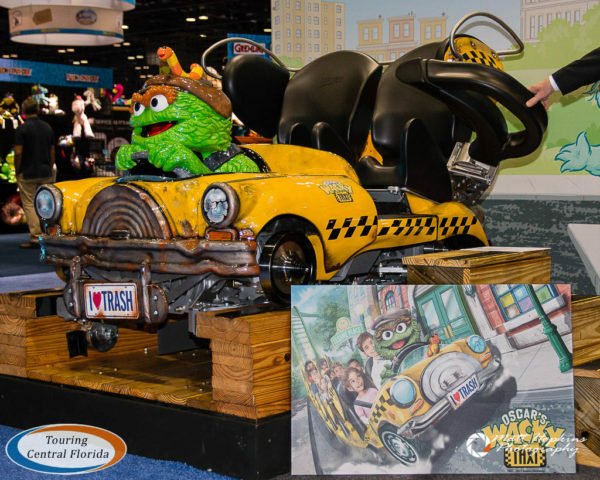 The International Association of Amusement Parks and Attractions (IAAPA) Expo was held this week in Orlando. 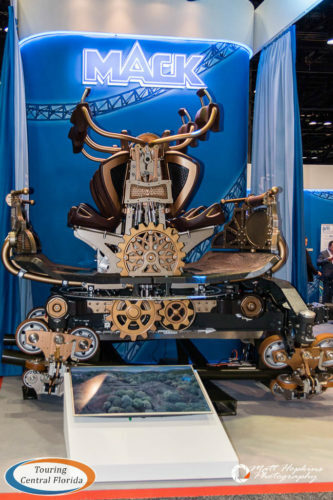 Theme parks and manufacturers revealed roller coaster cars and other ride vehicles for their attractions debuting in 2018 and beyond. 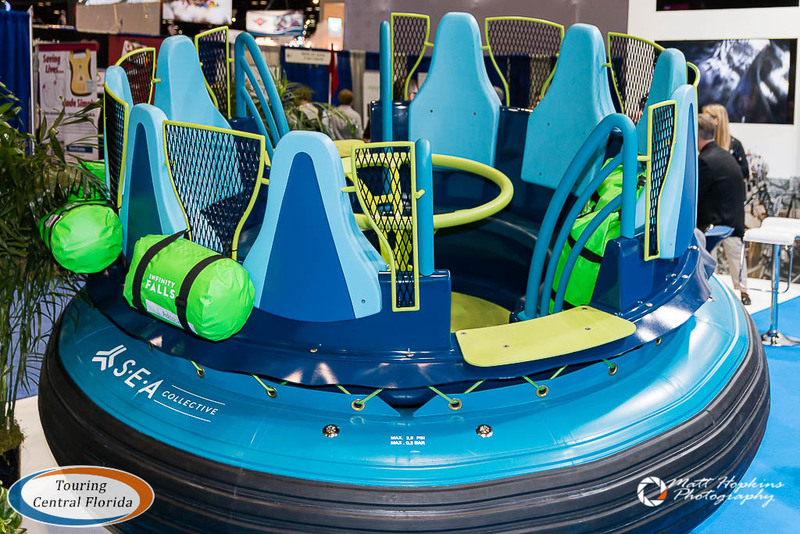 SeaWorld Orlando and Intamin unveiled the first of 15 custom-designed rafts for Infinity Falls, which will open in Summer 2018. 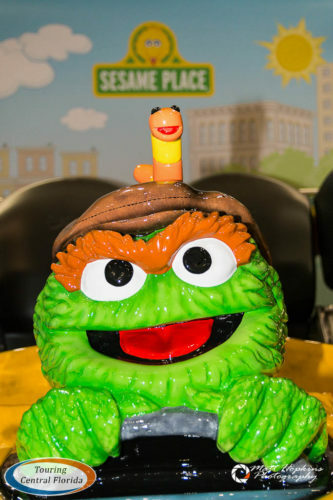 Learn more about Infinity Falls in our recent article. 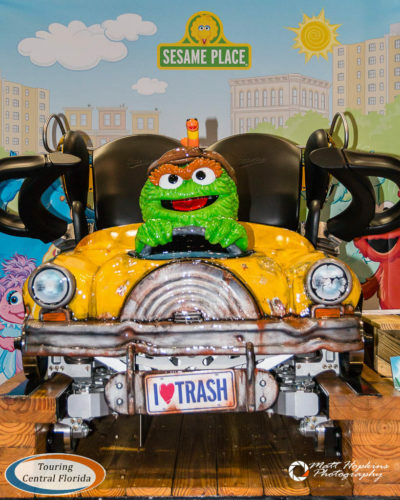 The Gravity Group and Sesame Place unveiled the lead car for Oscar’s Wild Taxi, a new wooden roller coaster opening at the Pennsylvania park in 2018. 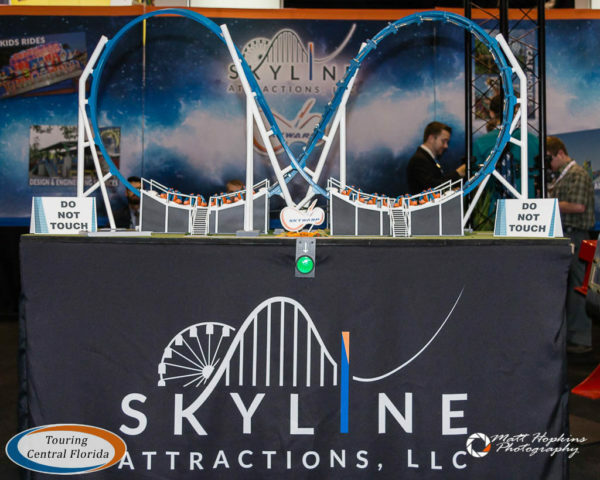 Skyline Attractions announced earlier this year the sale of the first Skywarp, which the Florida-based company debuted at the IAAPA Attractions Expo in 2016. 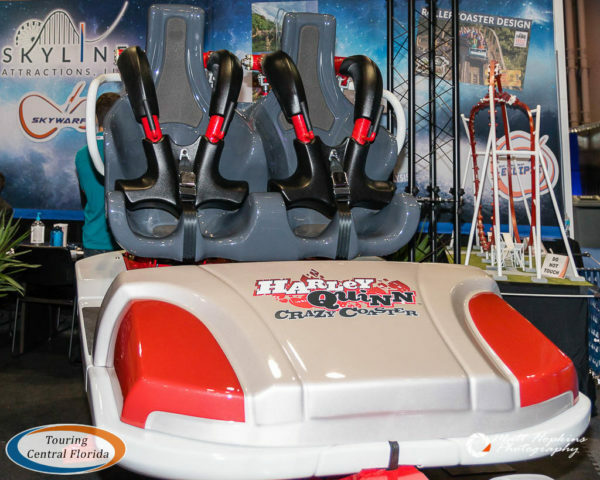 Along with Six Flags Discovery Kingdom in California, they unveiled the car design for the HARLEY QUINN Crazy Coaster. 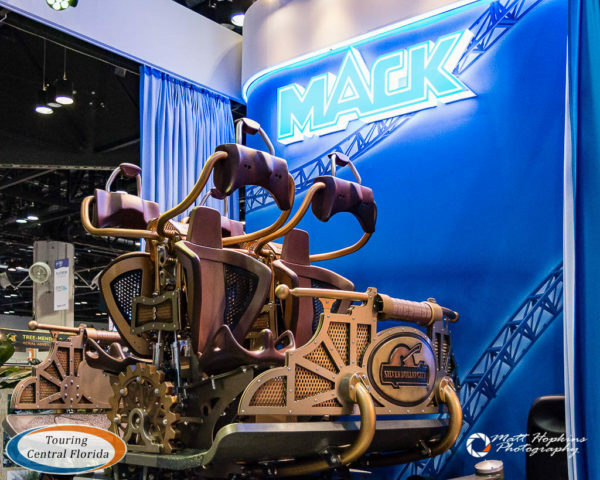 Mack Rides and Silver Dollar City showed off one of the cars for Time Traveler, which will be the world’s fastest, steepest and tallest spinning roller coaster when it opens in 2018. 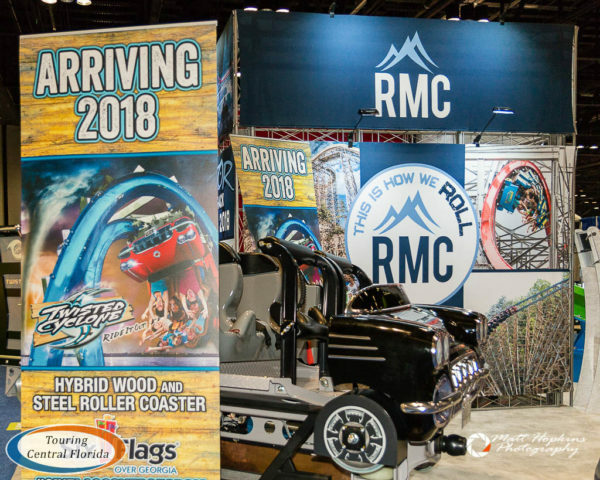 Rocky Mountain Construction (RMC) and Six Flags Over Georgia unveiled the lead car for Twisted Cyclone. 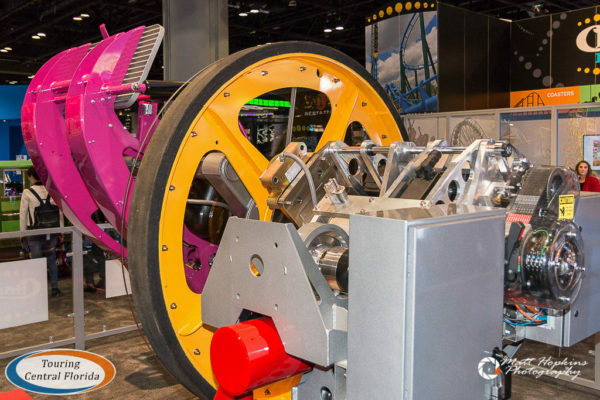 Chance Rides debuted its Unicoaster 2.0, which features rider controlled 360 degree rotating seats on customized roller coaster tracks. 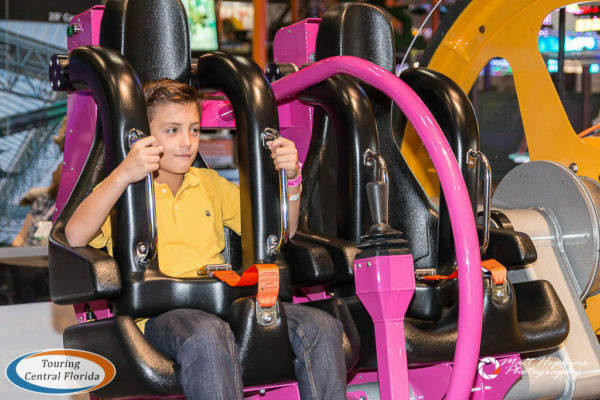 The company is marketing it as an interactive family coaster with looping elements without the high cost of a traditional looping model. 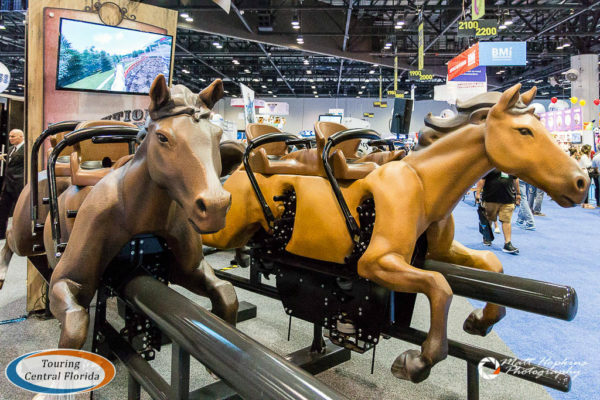 What’s old is new again was the theme with S&S Worldwide, Inc. rebooting the Steeplechase Coaster, the Arrow Dynamics classic from the 1970s (which was based on the original from the turn of the century). 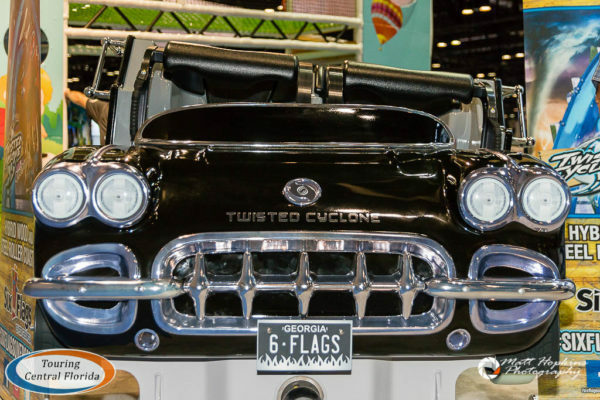 S&S bought the Arrow Dynamics brand 15 years ago, and this could be the beginnings of a return of a product line under that name. 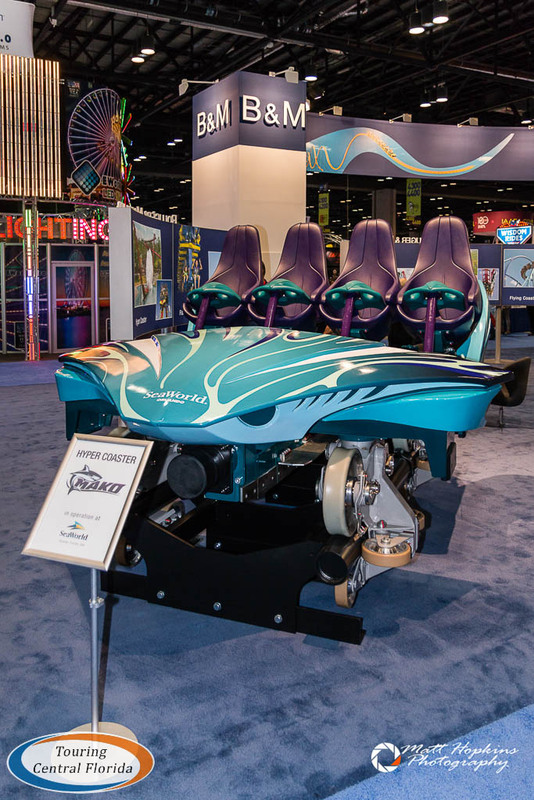 While not a reveal of something new, Bolliger & Mabillard (B&M) also had a car on display from Mako, one of the roller coasters at SeaWorld Orlando. 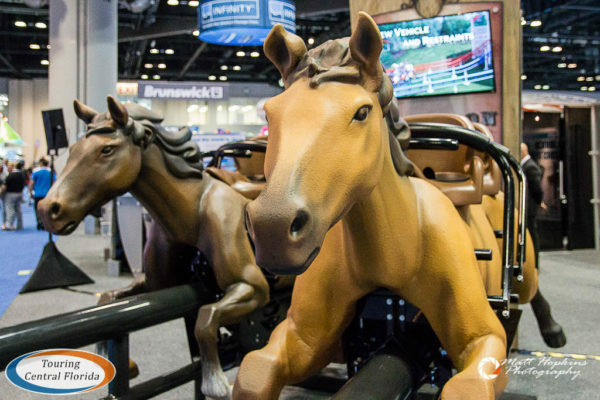 Join in the conversation online about IAAPA Attractions Expo 2017 by using #IAE17. 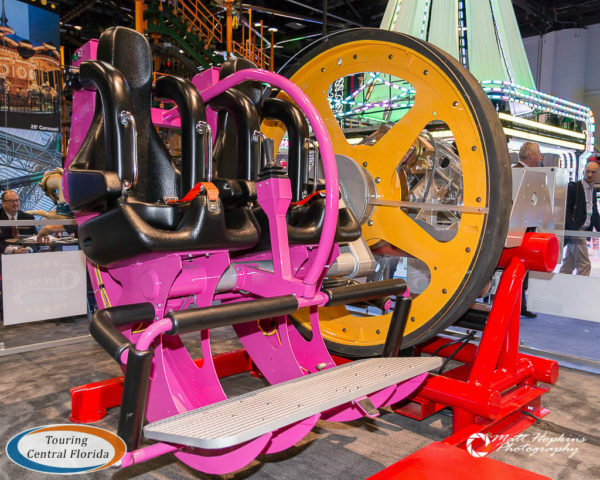 For the latest from theme parks, attractions, dining venues and more across the region, be sure to follow Touring Central Florida on twitter @TourCentralFL & @androckb, and give our facebook page a like.